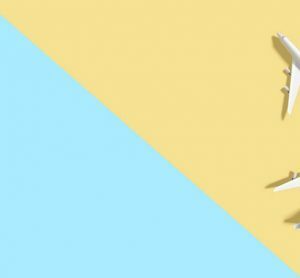 As part of our Sustainability Series, we spoke to Busselton Airport, a small airport in the South West corner of Australia. We asked whether, given the airport’s location, it faces similar problems to those airports which are not quite so remote? Can you give us some background on the environmental impact and scope of Busselton? Busselton is situated in the South West Corner of Australia. In 2010 the Busselton City Council gave in-principle support to expand the existing Busselton Regional Airport (BRA), originally opened in 1997 to improve tourism, business and emergency medical access to the South West region of Western Australia and transform it into a commercially viable operation. With a 1,800-metre sealed runway, connecting stub taxiway and apron, and small terminal an enormous amount of work was ahead, and in 2011 a Master Plan with a 20-year horizon 2011-2031 was completed. From its initial opening, the airport operated under overly-restrictive environmental noise conditions set down by the Minister for the Environment preventing expansion. Finally, in 2012 new noise conditions were agreed that unlocked the airport’s potential and significant passenger growth was experienced through the FIFO workforce. With the vision to transform the airport still in sight, a steering committee consisting of Local, State and Federal Government stakeholders was formed in October 2012 and a Business Case developed. The Business Case was robust and was backed by over 27 studies including passenger, freight demand, geotechnical, financial, economic, environmental, cultural, climatic, industry and social impact, land assembly, passenger demand and route analysis, aircraft performance analysis and noise management planning. The Business Case proved convincing, and in June 2015 the Western Australia State Government announced it would invest $55.9 million through its Royalties for Regions Funding Programme and Department of Transport’s Regional Airports Development Scheme (RADS), which would see the airport on its way to a developed facility that could accommodate interstate flights. Aiming higher, the City sought Federal funding to facilitate international aircraft and in July 2016 through the Australian Government’s Community Development Grants Programme $9.78 million was committed to make the now named Busselton Margaret River Airport (BMRA) internationally ready for passengers and freight. A further $1.47 million was committed by the Australian Government under its Building Better Regions fund in 2018 for the development of an Airfreight Hub as Stage 1 of the Commercial and Industrial Precinct. The Project has excited the region and is expected to stimulate innovation in the broader South West regional industry sectors utilising direct air access. Additionally, it has support from all 12 South West local governments, including financial investment of $4.65 million. To ensure success of the Project, the City established a dedicated airport project team to manage the project. The team consisted of a project director, project manager/superintendent, contracts and tendering officer, business development officer and a financial/administration officer. Completion of infrastructure for airside and landside civil and services works is an important milestone and brings the overall BMRA Masterplan much closer to its ultimate completion and anticipation of interstate flights commencing by the end of 2019. Airline incentive programme (in negotiation). Was the redevelopment (construction) that Busselton underwent between 2015-2018 a sustainable project? Can you give us some details? It is one thing to champion a significant infrastructure project on your own land however there are significant complexities of successfully negotiating land purchases, land exchanges and land access with multiple private landowners and government agencies to secure the development area needed. A pivotal aspect of the project was the ability to acquire land to enable extension of the runway and general aviation precinct, without achieving this the project would not have been sustainable. To the north an additional area of 26.3ha was required to extend the runway and 12.8ha required for the southern runway extension. 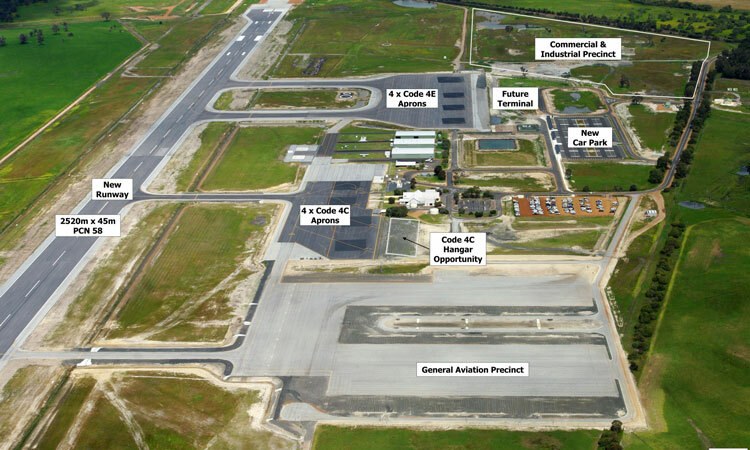 An additional 2.9ha was acquired from another adjacent landholder for the new general aviation precinct. These unique and varied land negotiations also included a land swap with a government agency to enable the relocation of a stormwater drain. Access to potable water was a major undertaking for the project, with the closest water connection 1.8km away, along with the requirement to construct a pump station. As there was no ability to build within road reserves, the city negotiated easements (1.8km x 4m wide) with two private landholders for the pipeline route. Environmental factors were identified as a risk to the Project. This included inclement weather during construction causing delays to the programme, construction staging and operations. Strategies included scheduling major works over two seasons to avoid construction over the wet season, programme considerations due to the weather and night works where required. In managing risk project delivery was well considered and resulted in developing the works packages and procurement methods to maximise efficiencies, ensure quality and to take the best advantage of the current economic market. The City’s tender documentation for construction works included the requirement for contractors to demonstrate their understanding of the environmental and sustainability issues relevant to the works. As such the approach agreed with the main contractor, Ertech Pty Ltd, was to adopt the Infrastructure Sustainability (IS) rating framework of the Infrastructure Sustainability Council of Australia, with progress included in monthly reporting to the City of Busselton. Sourcing materials and fill from the local area; reducing carbon emissions from transportation. Utilising polycarbonate LED lights resulting in power reductions of around 75 per cent. Lower voltages and current also meant shallower cable installation depth (less trenching), smaller transformers, and smaller backup generators. Drainage solutions – the low lying area of Busselton and high water table presented significant drainage issues to overcome. An adequate drainage system for the removal of surface and subsurface water is vital for aircraft safety and for the long service life of the pavements. With an already high water table and a significant increase in pavement area (extended runway, aprons and taxiways) a drainage strategy was required to deal with the additional runoff and water pooling on the site. The drainage system worked effectively over its first winter. Onsite asphalt batching plant – to maximise efficiencies a temporary on-site batching plant was erected producing 150 tonnes of asphalt per hour. 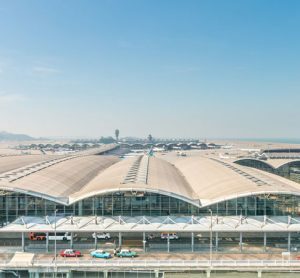 63,000m2 of asphalt was laid during airside construction during the first summer season of works. Noise and dust suppression – the issue of noise is commonly experienced by airports, usually from aircraft, however during construction noise and dust suppression was a consideration for surrounding landowners. During the course of construction surrounding landowners were consulted, concerns addressed and strategies implemented to minimise impacts. A weekly news update was distributed by email detailing what to expect over the coming week. Only one noise complaint was received during the course of construction. Environmental matters were a significant consideration and actions were identified at the outset of the project. These included considerations relating to flora, fauna and vegetation, drainage, dust and noise. Referral to the Australian Government’s Department of the Environment and Energy under the Environment Protection and Biodiversity Conservation Act 1999 for assessment. Under the EPBC Act a person must not take any action that has, will have, or is likely to have a significant impact on any of the matters of national environmental significance. 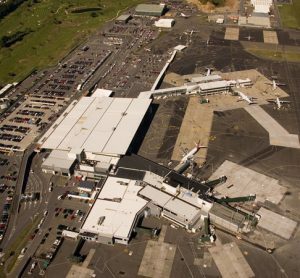 The City engaged an environmental consultant to assist with the preparation of the required environmental referrals and following extensive work the application proved successful and the proposed action to redevelop the airport under that Act did not require further assessment to proceed from the Commonwealth. While the Australian Government had issued approval, further review and referral was required by the Western Australia Environmental Protection Authority (EPA). 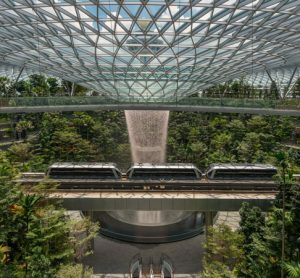 In 1997 the existing airport was approved under the Environmental Protection Act 1986 through Ministerial Statement (MS) 399 and later operating under both MS 901 and MS 1009. At the conclusion of the process spanning three years, as outlined below, the airport today operates under MS 1088. The MS amongst other things, requires the City to have a Noise Management Plan (NMP) in place which requires EPA approval for the airport development. Following the announcement of State Government funding for the BMRA development project in June 2015, City staff met with the Office of Environmental Protection Authority (OEPA) to discuss the process. Upon initial advice the City was advised that it would be required to undergo an Assessment on Proponent Information – category A (API-A) level of assessment to enable the development project to proceed. Based on this staff engaged an environmental consultant and submitted the application with supporting documentation in July 2016. During the assessment period the City was advised by the OEPA that the level of assessment would actually be a Public Environmental Review (PER) requiring additional considerable time and resources, and as it stood, would not enable any expansion work to be undertaken until the PER process had concluded and the Minister for Environment had published his/her final determination. Upon receipt of further advice the City met with the OEPA who agreed that expansion work could be undertaken by separating it from the operations and as such the City progressed relevant applications through s.43A and s.45C of Environmental Protection Act 1986. This process enabled the airport lot boundary to be expanded to reflect land acquired as part of the proposal and construction to proceed within the revised lot boundary, thus removing the operations from the construction elements of the proposal. As such construction was able to commence. As part of the PER process, the City undertook extensive noise modelling reflective of future aircraft projections and revised the noise management plan to, amongst other things, enable the standard hours of operation of aircraft to be expanded. This process in itself took a considerable amount of time which included extensive community consultation and analysis of environmental impacts of aircraft operations. In early 2017 the City submitted an Environmental Review Document to the OEPA, the formal application as part of the PER process. Following a public comment period the EPA made its recommendation to the Minister for the Environment in early 2018 and subsequent to this, an appeal period ensued. In December 2018, the Minister for Environment handed down his decision. This included implementation of the Noise Management Plan 2018 with the amendment to define the standard hours of operation for services to be between 06:00 and 00:00 (an additional hour of operation to previous hours of operation as had been requested by the City). A range of native vegetation clearing permits were also required and successfully achieved through the Department of Environment Regulation under the Environmental Protection Act 1986. The airport takes a proactive and ongoing risk management approach to ensure best practice in wildlife risk management. This involves managing wildlife within the airport boundary and identifying risk areas at the airport. Both proactive and passive measures are employed to maintain a suitable environment for both people and wildlife. The City of Busselton currently has a funding application pending with the State Government’s Regional Aviation Development Scheme 2019/2021 for the supply and installation of bird netting over a stormwater retention basin. Without mitigation bird strikes are likely to increase as a result of increased airport utilisation and expansion of the stormwater retention basin. This will improve safety by minimising the risk of bird strikes on aircraft and by reducing harm to birds. 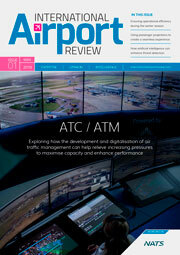 How does the airport mitigate its noise effect? 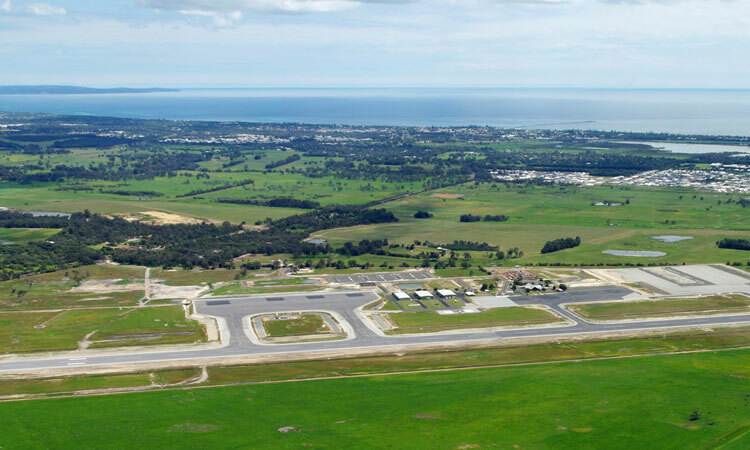 The Busselton Margaret River Airport operates under noise conditions set down by the Minister for the Environment; something that no other airport in Australia is required to do, and a Noise Management Plan (NMP). The purpose of the Busselton Margaret River Airport NMP is to provide a comprehensive plan for the effective management of noise generated by aircraft using the airport in order to protect the amenity of community members potentially affected by aircraft and airport noise. The main objectives of the NMP are to identify and implement controls and procedures for the effective management of aircraft noise and the reduction of aircraft noise impacts, to provide clear and specific guidelines for airport users as to their responsibilities and obligations with regard to noise management, and to provide the general community with clear and transparent information and guidelines as to the noise management controls and procedures to be employed in respect of aircraft noise in the vicinity of the Busselton Margaret River Airport. Understandably, some sectors of the community were concerned at the announcement the airport would be redeveloped, anticipating greater noise impacts from the upgraded infrastructure. As a result, expressions of interest were called to participate in a ‘Consultative Group’ comprising various stakeholders including surrounding landowners, community members and the business community. This approach has proved successful enabling the City to disseminate factual project information directly to those that need it the most and gather concerns to be addressed. As a result, a flight path review was initiated by the City and has resulted in alternate flight paths being calibrated by the Civil Aviation Safety Authority with approval and publication by AirServices Australia finalised in January 2019. These alternate flight paths are expected to minimise aircraft noise over residential areas and the news was well received by Group members. 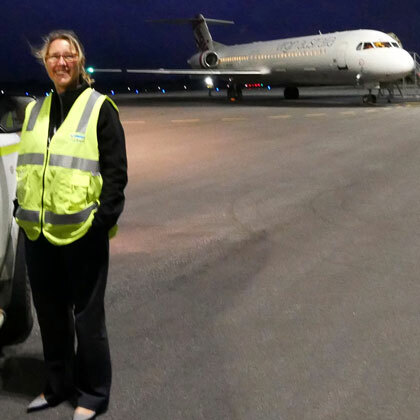 Jennifer May is Manager Commercial Services at Busselton Airport. After a career in Investment banking and asset management overseas, Jennifer returned to Busselton Australia and took up the role of Commercial Services Manager at the City of Busselton. The role includes management of the City’s commercial business units, the Busselton Margaret River Airport and the Busselton Jetty Tourist Park, as well the City’s Events and Economic Development Teams.